Kathleen Riley (CHER) is an overworked Washington, D.C. public defender who needs a vacation. Instead, she is assigned another case. But this is no ordinary crime, with no ordinary criminal. Lobbyist Eddie Sanger (DENNIS QUAID) gets saddled with jury duty just when a critical bill is coming up for vote. 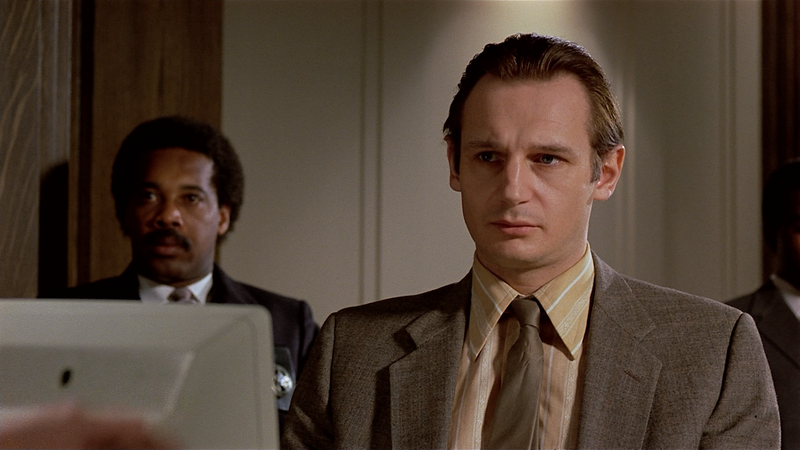 While on jury duty, Eddie discovers evidence critical to Kathleen’s case and contacts her outside the courtroom… a violation of the law. Bizarre evidence leads Kathleen on a dangerous trail from Washington’s seamy underbelly to the highest level of government. And the closer she gets to the answers, the more her life is in danger. 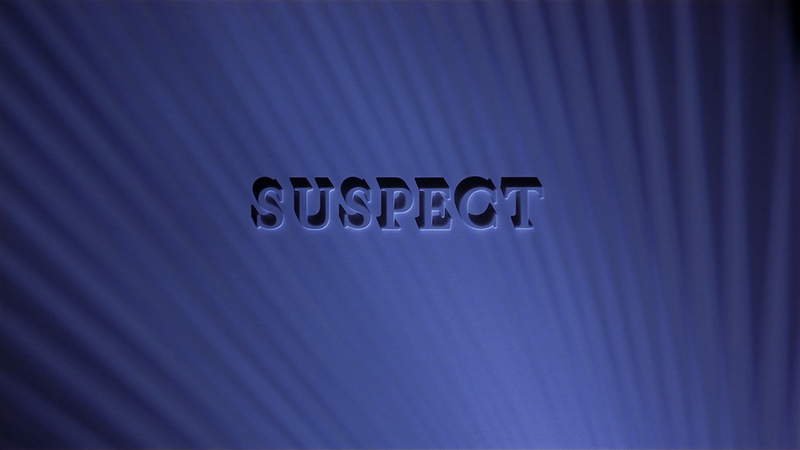 Mill Creek debuts Suspect onto Blu-ray presented with a 1.78 widescreen aspect ratio and a 1080p high-definition transfer. The picture on this looked splotchy, detail was hampered by either blocky grain or outright artifacts. Is it terrible? Not really, but even for a film of this age, could’ve been better. There is also some minor film damage throughout so it’s not even that clean. On the plus side, however, the colors do look bright and skin tones do have a natural appearance. The disc comes with your basic Dolby Digital 2.0 track. It’s nothing outstanding but serviceable enough with clear dialogue and some okay depth when it comes to the music or the more suspense-filled sequences. 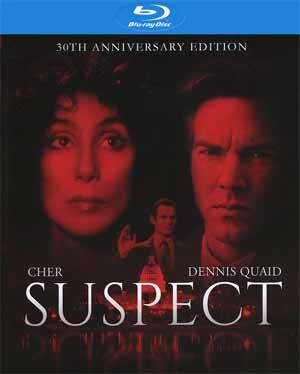 Overall, Suspect is actually a pretty good 1980s suspense/thriller featuring good performances by Cher and Dennis Quaid, as well as Liam Neeson. Unfortunately, this Blu-ray release doesn’t measure up with an average video transfer, so-so audio and no bonus material.